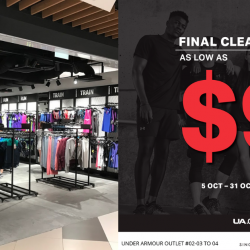 5 - 31 Oct 2018 Under Armour: Outlet Final Clearance As Low As $9 at IMM Outlet Mall! 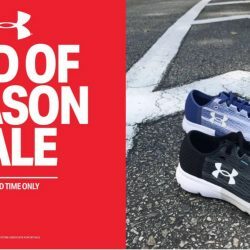 Clearance sale is now happening at Under Armour Outlet (#02-03 to 04)! Prices start as low as $9! Spread the word! Sale ends 31 October 2018. 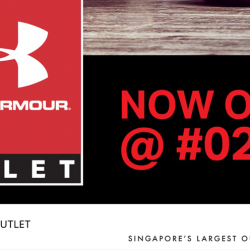 Under Amour: Outlet Now Open at IMM Outlet Mall! 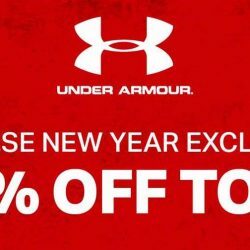 Celebrate CNY with Under Armour! Enjoy 20% off tops at their 4-day online exclusive sale ending 22 January 2017. Free Shipping on all orders S$75+. Get your new sports apparel now! Get your sports apparel and gear at UA Friends and Families Sale happening at Singapore Expo from 06 to 07 August 2016! 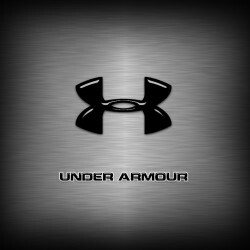 Get sporty with Under Armour and enjoy S$15 off for every S$120 spent when you enter the promo code below. For UOB Lady's Cardholders, enjoy an exclusive S$15 off with just S$100 spent with the promo code too. Get stronger for lesser! 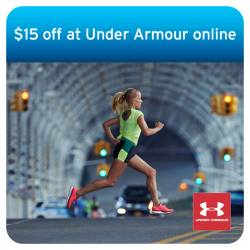 Enjoy $15 off with every $100 spent at the Under Armour online store with Citibank Credit Card. Use promo code below at check out to enjoy the discount. Now till 15 May 15. 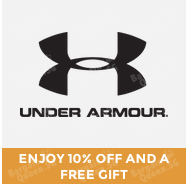 Shop your sports wear this GOSF on UnderArmour.com and get 10% off your purchase! Enjoy 10% off selected categories and gift with purchase! 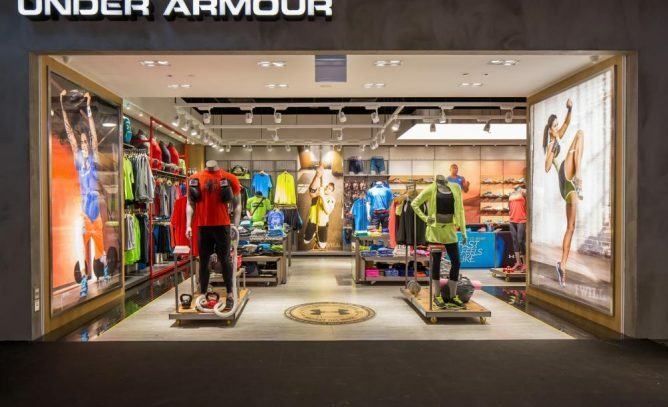 Under Armour USA offers Up to 40% OFF + Free shipping to Singapore with min. spending of S$300. Free shipping to Singapore with min. spending of S$300.